Its coverage/services when you need it most. The frequency of repairs increases with time. SAL Protection Plan takes over for your manufacturer’s warranty. SAL Protection Plan puts you in the driver’s seat. Choose the term that’s best for you up to seven years, and then choose from three deductible levels: $50, $100 or $200. 1. Water Heater: Burner Assembly, Tank, Thermostat, Thermocouple, Gas Valve, Heating Elements, Electronic Ignition Assembly, Wiring Harness, Switches, Fittings and Connections, P.C. Boards, Bypass Valves, Pressure Relief Valve, Seals and Gaskets. 2. Waste System: Shower, Toilet, Sinks, Holding Tanks, Gate Valves, Fittings and Connections, Vacuum Breaker, Float Assembly, Ball Valve, Slide Valve, Water Inlet Valve, Seals and Gaskets. 3. Fresh Water System: Water Pump, Compressor, Water Tank, Water Lines, Traps, Fittings and Connections, Faucets, Seals and Gaskets. 4. Air Conditioning/Ventilation: Central Air or Roof-Mounted Compressor, Evaporator, Capacitors, Relays; Thermostat, Heat Strips, Heat Pump, Condenser, Expansion Valve, Accumulator, Receiver/ Dryer, Blower Motor, Switches, Electronic Module, Reversing Valve, P.C. Boards, Pressure Cycling Switch, Ventilation Fans, Control Panel, High/Low Cut Off Switches, Seals and Gaskets. 5. Range and Oven: Burner Assembly, Thermostat, Thermocouple, Burner Valves, Microwave Oven, Power Hood, P.C. Board, L.P. Fittings and Connections, Ignition Assembly, Seals and Gaskets. 6. L.P. Gas System: Regulators, Valves, Gauges, Mounting Brackets, Pigtails, Gas Line Fittings and Shut-Off System, Gas Bottle Valve, Seals and Gaskets. 7. Heating System: Furnace, Igniter, Burner Assembly, Thermocouple, Gas Valve, Thermostat, Blower Motor, P.C. Board, Heat Pump, Heat Strips, Reversing Valve, Control Panel, L.P. Fittings and Connections, Heat Exchanger, Blower Wheel, Time Delay Relay, Switches, Seals and Gaskets. 8. Refrigerator: Thermostat, Thermocouple, Compressor, Evaporator, Burner Assembly, Cooling Unit, Condenser, Blower Fan, Igniter, P.C. Board, L.P. Fittings and Connections, Control Panel, Elements, Switches, Seals and Gaskets. 9. Auxiliary Power Plant Assembly: All internally lubricated parts of the Power plant Engine, Starter, Switches, Generator Assembly, Power Converter, Power Inverter, Voltage Regulator, Gauges, Interior Monitor/ Control Panel and P.C. Board. Head and/or Cylinder Block if damaged by the failure of an internally lubricated part, Hour Meter, Factory installed 12/110/220V Electrical System, Wiring, Outlets, Solar Panels, Transfer Switch. 10. Power Step and Pop-up Mechanism: Factory installed or factory approved dealer installed, Manual or Electrical Crank Assembly and Cables. 11. Suspension: (does not apply to Slide-In Camper or Park Model) Wheel Bearings, Coil and Leaf Springs, Spindles, Axles (unless bent), Seals and Gaskets. 12. Brakes: (does not apply to Slide-In Camper or Park Model) Drums, Master Cylinder, Hydraulic and Electric Brakes Actuator, Backing Plates, Seals and Gaskets. 13. Deluxe Appliance / Accessories: Ice Maker, Freezer, Dishwasher, Washer/Dryer (excluding Belts and Hoses). Trash Compactor, Central Vacuum Cleaner System, Factory installed Barbecue, Spot Light System, Carbon Monoxide/Smoke Detector, Alarm Sensors, Propane Leak Detector, Garbage Disposal, Electronic/Remote Entrance, Thermometer, Compass, Central Locking System, Awning Mechanism (excluding Cover), Door Hinges, Door Handles and Locks, Interior/Exterior Light Fixtures (excluding Bulbs and LED Lights), Electrical Outlets, Thermostat, Water Purifier, Fireplace. 14. Leveling Jack System: (factory installed or factory approved dealer installed) Mechanical, Electrical, and Hydraulic Coach Leveling System. 15. Slide Out Room(s): (Limited to two a maximum of three claims for term of policy/contract): Mechanical, Electrical and Hydraulic, Slide Out Room and Raised Roof Extension Systems. 16. Audio/Video: (factory installed or factory approved dealer installed) TVs up to 42” (Limited to a maximum of two (2) TV claims for term of policy/contract), Antenna Motors, Factory installed Interior Entertainment System (including CD/DVD Players and Stereo System excluding Speakers). The following Coverage/Services are optional under ALL PLANS – An additional charge will apply. In addition to all the listed components, we will pay for any breakdown of all other parts except those listed under exclusions in your policy/contract. The following Coverage/Services are not included in any policy package but can be added to added to Superior Coverage policies at an additional charge. 17. High-Tech: (factory installed or factory approved dealer installed) Global Positioning Systems (GPS), TVs greater than 42’’ up to 60’’ (Limited to a maximum of two (2) TV claims for term of Policy/ Contract), Satellite, Factory installed in-Command and Control Receiving System and Exterior Entertainment System (including CD/DVD Players and Stereo System excluding Speakers), Air-Bed Pump/Motor (if serviced separately from Mattress), Rear Monitoring System. 18. 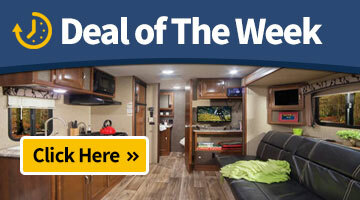 On-Site Assistance: (travel trailers, fifth wheels and park models only) Up to $400, in the event of an eligible mechanical breakdown, if your unit is parked in a long-term campground (60 consecutive days or more) and incurs a necessary repair (as defined by the Claims Administrator). 19. Claim Free Rebate (based on plan term eligibility): Referred to as “CFR” in your policy/contract. SAL Protection Plan’s peace of mind doesn’t end with repair coverage/services. The benefits below are yours, no matter which Coverage/Services option you choose. Tire and Locksmith services up to $50. Towing for your unit up to $300. $50 per day (up to $250) in rental unit coverage in the event of an eligible mechanical breakdown. A one-time benefit of up to $100 in the event of an eligible mechanical breakdown of your tow vehicle. $100 per day (up to $300) in lodging and meal expenses in the event of an eligible mechanical breakdown occurring more than 150 km from your home which results in an overnight repair. Up to $75 for spoiled food and beverage expenses in the event of an eligible mechanical breakdown of your travel trailer’s refrigerator or freezer. Return to your selling dealership for an eligible repair and your deductible will be reduced by $50. If you choose to sell your travel trailer privately, any unused coverage/services will be transferable to the purchaser, increasing the resale value of your investment. This is a information intended to outline the potential coverage/services offered and does not consist of a binding policy/contract. See your policy/contract for specific details. Coach-200 is a Coach Warranty with a $200 Deductable. Superior-50 is a Superior Warranty with a $50 Deductable.